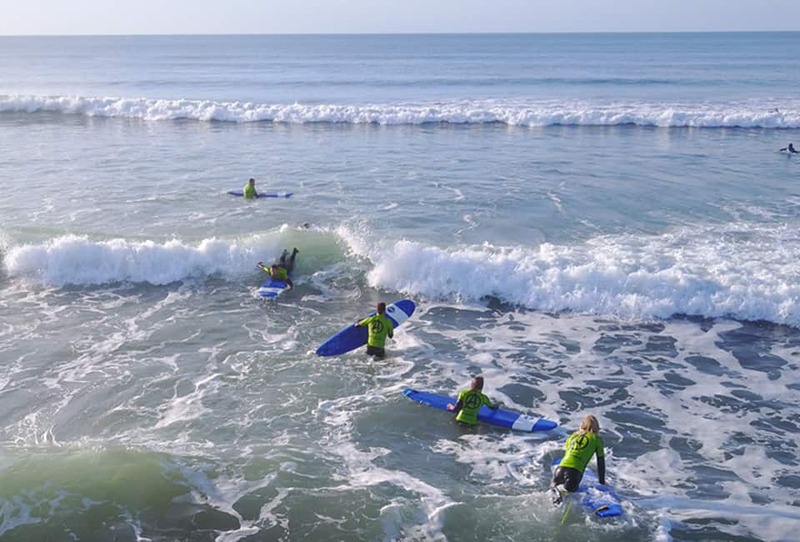 Our Bude Surf School in Widemouth Bay, was established back in 1981 and was one of the first surf schools in Cornwall. Since then we have gone from strength to strength, down to our relentless passion and commitment to give people the best introduction possible to the sport of surfing. Come and join us for your surf lessons at Bude. 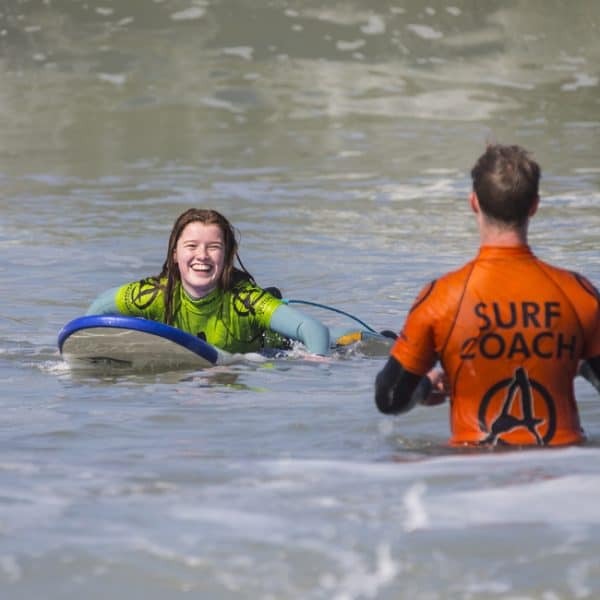 The Outdoor Adventure Surf School specialises in beginners and is the perfect place to learn, whether you are learning on your own, in a family or in a group. 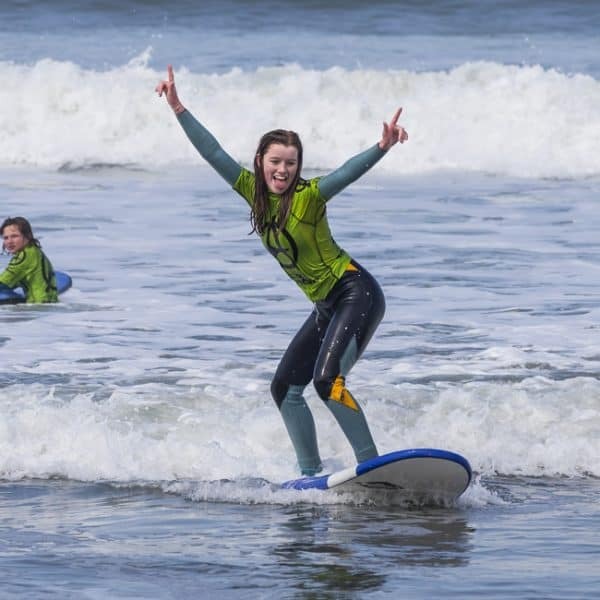 We aim to get you up and riding by the end of your first surf lesson, and just as importantly, make sure you have a really fun and memorable experience with us. Group sizes are kept small and even though you are learning to surf in a group, you will still receive plenty of essential quality one to one coaching during your lesson. We are a Surf England accredited Surf School and have an outstanding track record in safety. 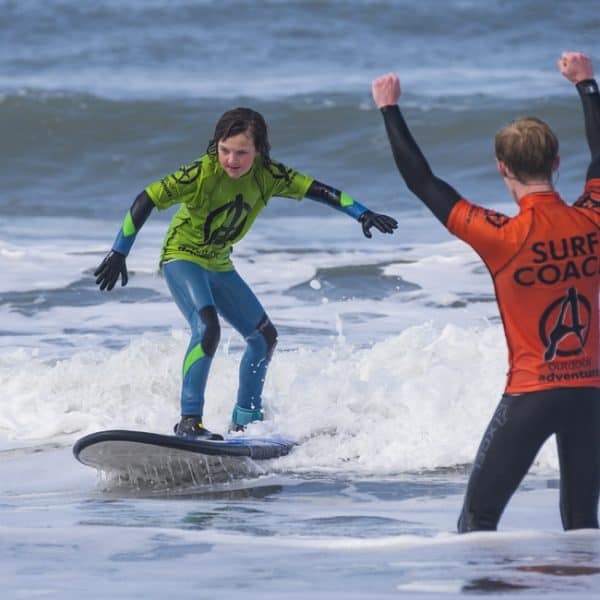 The Outdoor Adventure Surf School was one of the first to be established in the UK. We started back in 1981 and have remained totally committed to provide top quality surf lessons ever since. 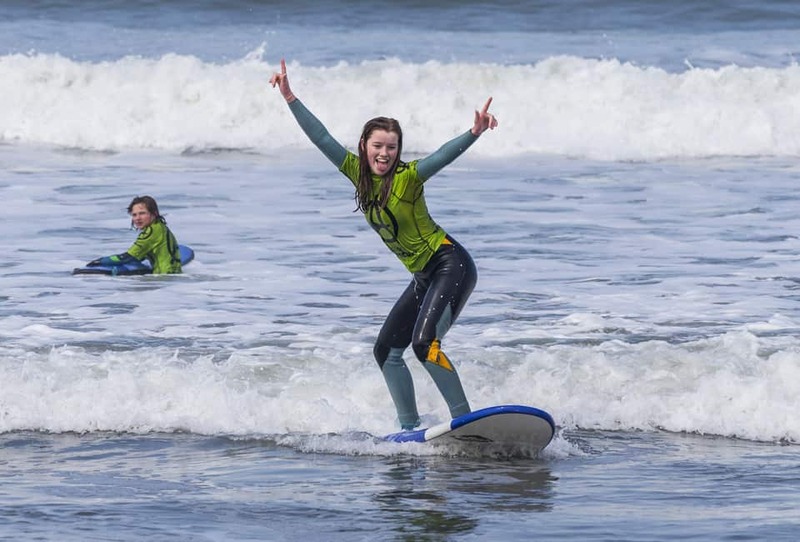 Our surf lessons are delivered by a fun and enthusiastic team, who are not only excellent coaches but live and breathe surfing. 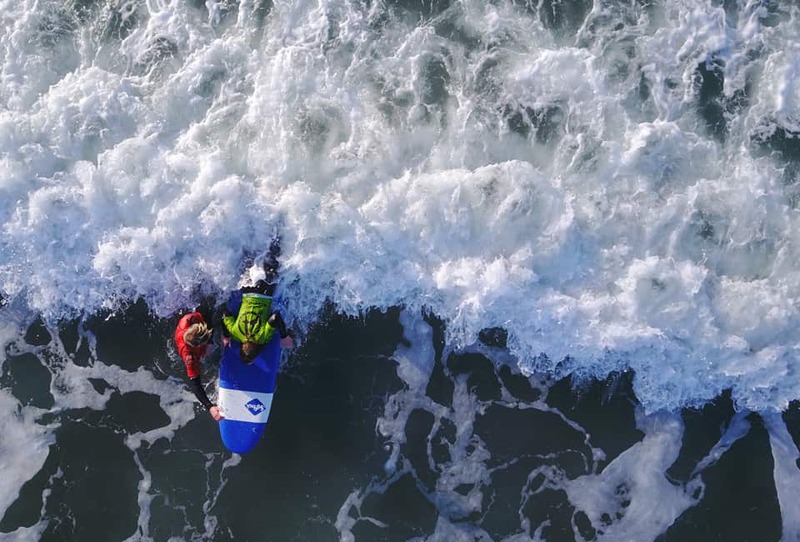 They keep up with the latest innovations and techniques in surf coaching, together with the fact they love their job and ‘go that extra mile’, ensures you the best possible experience in learning to surf. 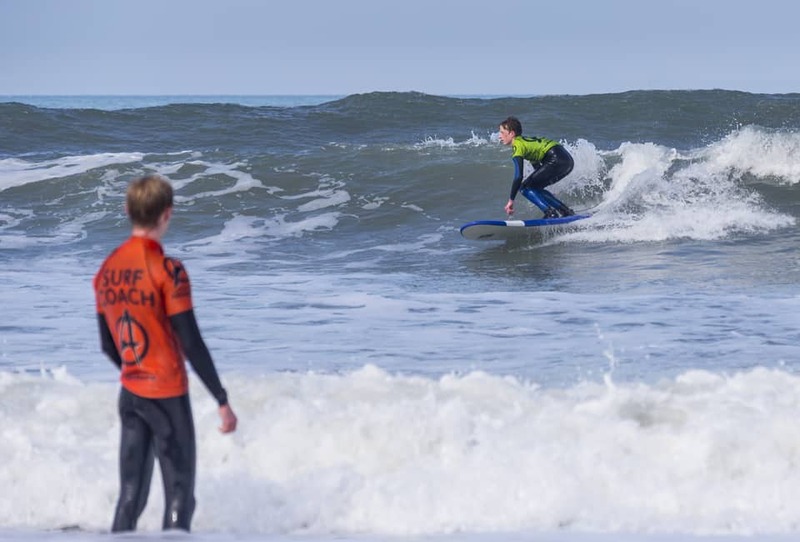 Widemouth Bay is a spectacular surf break with consistent waves and is perfect for beginners. We chose to set up our surf school here as it’s close to Bude, but with the benefit of being away from the hustle and bustle of town. The actual beach here at Widemouth Bay is wide open and sandy, surrounded by rugged cliffs and stunning views up and down the Cornwall coastline. It’s both beautiful and clean with the highest award for water quality you can get and has plenty of parking. It also has all you will need for a great day at the beach, including lifeguards, toilets and trendy beach cafe. It makes a real difference being taught to surf with the right kit. 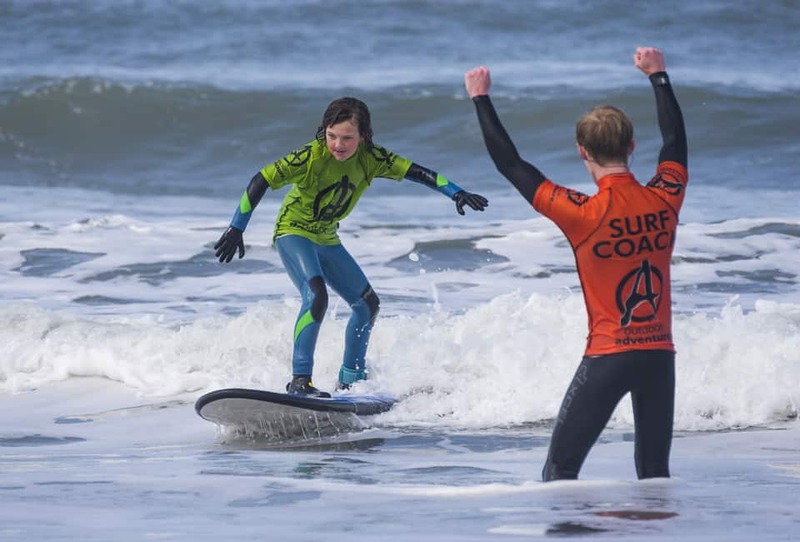 Being coached on the appropriate boards for your level and staying nice and warm in the water makes a huge difference to your progress – it removes so much of the frustration people often experience learning to surf, you have much more fun and learn quicker. Our top quality Gul wetsuits keep you warm whether it’s March or August. You will be learning on the new Surftech soft surfboards which are wide and stable – perfect to get you up and standing. If it’s early in the season, don’t worry, we’ll give you wetsuit boots and gloves as well. We are always getting told that it’s our staff’s approach and enthusiasm that makes your surf lesson so enjoyable. We therefore never underestimate the importance of having the right team with the right coaching experience and attitude working at our surf school. 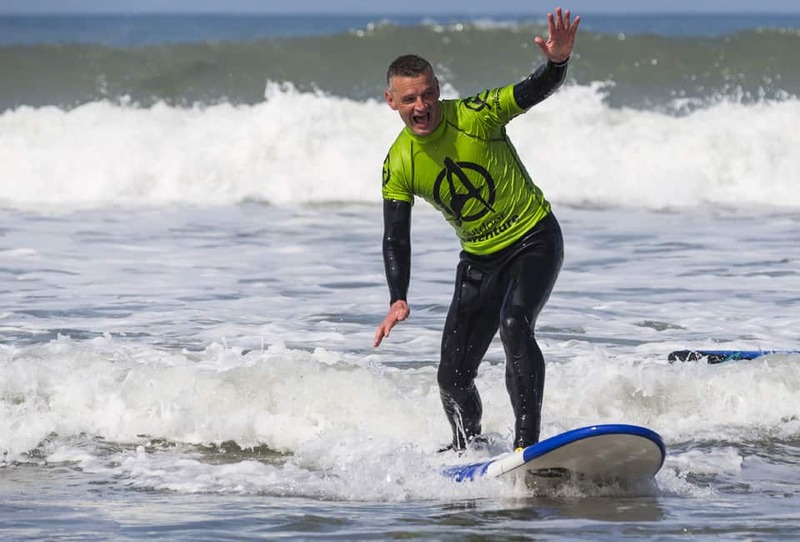 Yes, they are highly qualified and vetted, but what makes the real difference is that they love what they do and have a genuine passion for helping people learn to surf. Our coaches enjoy sharing their knowledge and adventures with you, and have the drive to show everyone all the fun and benefits that can be gained from just being in the ocean. 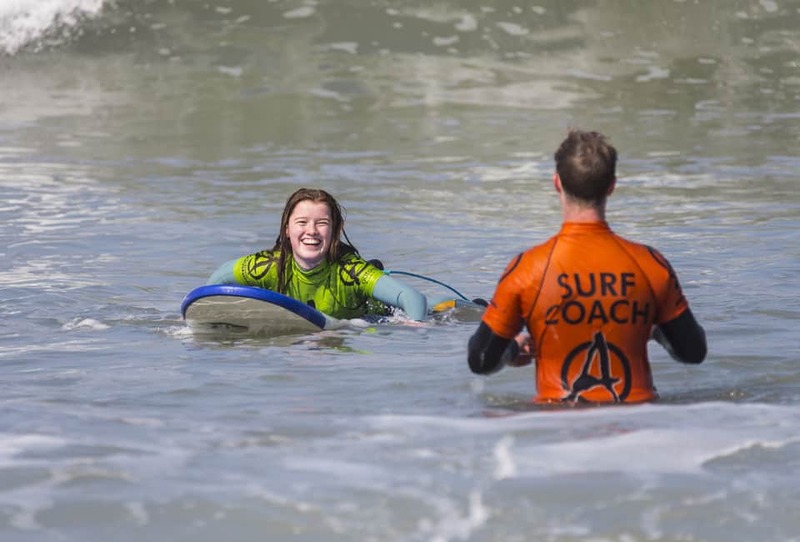 They love living in Bude and have made this their career – you’ll find them worlds apart from just gap year or summer instructors. 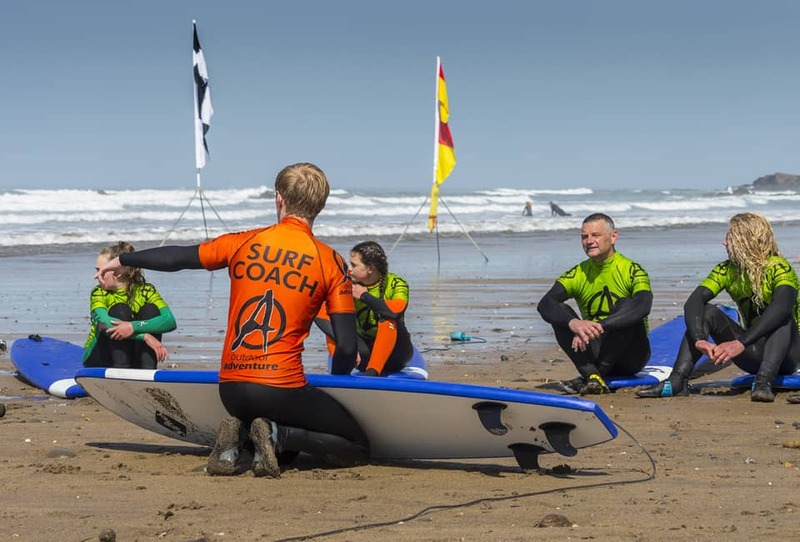 The Outdoor Adventure Surf School is situated at Widemouth Bay, Bude on the unspoilt, rugged north Cornwall coast. It is easy to get to and only 1 hour from the M5 junction at Exeter. From the friendly telephone manner upon booking to the moment we parted ways after three little boys experienced surfing for the first time, we were treated like the most important customers ever. Top notch service, even against the elements Ed and Lewis remained motivational and encouraging. The instructors were able to hold the attention of the boys for the whole time. Thank-you for giving such an enjoyable experience for not only our daughter but for us watching-the confidence she gained by being able to stand up on a board in just 2hrs is remarkable. Keep up the great work. "The small groups meant we received very good one to one time with the instructor who was really friendly, approachable and supportive. It exceeded our expectations in every way and I would highly recommend your surf school"
Great experience for me (17) and my brother (10). Fantastic instructors and everyone in our group managed to surf standing up, as well!